Citing Warhol as one of her favourite artists for his revolutionary approach to subject matter, Tessa’s Fat Free collection draws inspiration from the Pop Art movement that saw perishable foods transformed into timeless, iconic works. 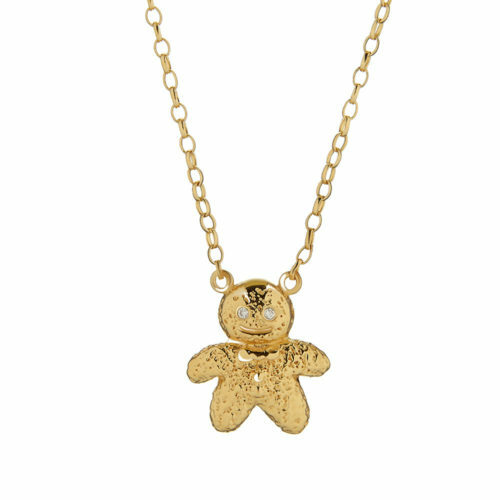 Her delightful and characterful Mr Gingerbread Man Necklace is every bit as fun as its name suggests. Set with little diamond eyes, he is the perfect playful, luxe accessory. 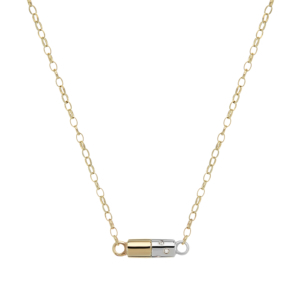 Available also in bracelet form.